Your big meal is over, guests have waddled out, dishes are done…time for a cocktail! 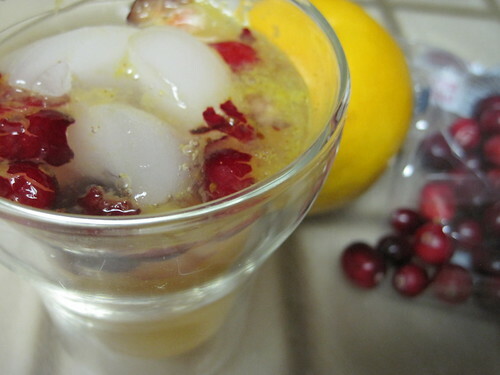 And what better than a festive holiday cocktail using ingredients you probably already have left from your dinner? Elisabeth pointed out a Cranberry-Orange Gin and Tonic featured in this month’s Southern Living Magazine and I was immediately sold. Mix one up. You’ll be very happy and it’ll help ease you into that post-turkey nap. When I was still in college, a few years prior to my hacking days, I was drinking a lot of gin and tonics. As part of that drinking I started amassing a collection of gin. There really wasn’t much rhyme or reason to it. Friend recommended it, it’s in. Something I haven’t seen before, it’s in. And, in the case of Hendrick’s, the bottle looks super cool, it’s in. Hendrick’s has, and always has had, an old school, apothecary style bottle. It’s dark and interesting and like nothing else out there. So added it was and there it sat for months. Sure, I’d toss it in a G&T from time to time, but I never really appreciated what it had to offer. That appreciation came quite a lot later on a hot, late summer, Friday afternoon at Jax Fish House in Boulder. I had met my buddy Sean there for drinks and oysters and we were sitting right at the front windows watching the world go by. Drink special for the day was a Hendrick’s Gin and Tonic. We each ordered one and continued downing the oysters. A bit later the drinks showed up. With slight bits of muddled cucumber floating about, it was definitely the oddest G&T I’d ever had. One sip changed me. Hendrick’s doesn’t have what most people consider to be a typical gin flavor. The juniper is present, but isn’t front and center. There are other flavors that take that role, like cucumber and rose. The flavor is also not as strong as with other gins. Which is why Hendrick’s is perfect in a G&T. Mixed right, the tonic isn’t the star, it’s secondary to the gin. And that was definitely the case that Friday afternoon. The bits of muddled cucumber, though strange at first, play off the cucumber flavor of the gin and give it a cooling quality that’s really amazing. Sean and I each had a couple of those G&Ts before we moved on with our evening. Friends and family joined throughout and the night was truly grand. I must say, even years later, the thought of those Hendrick’s Gin and Tonics sticks with me. The flavor of Hendrick’s works great with tonic on its own with the typical twist of lime, but you can up the ante with a bit of muddled cucumber. Take two peeled slices of cucumber, chop them into smaller bits and muddle a bit in your glass. Add two ounces of Hendrick’s and 3-4 ounces of tonic. 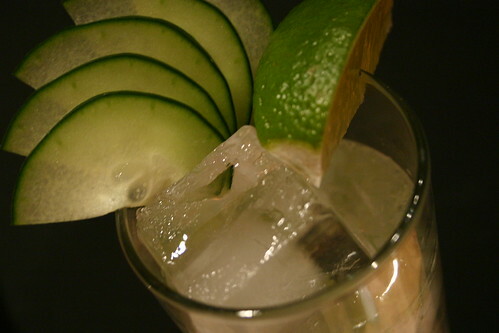 Top with a wedge of lime and a cucumber slice for garnish. Definitely worth the extra effort I assure you. That naturally brings us to the question of, what is the flavor profile of Hendrick’s? In short, balanced, with emphasis on flavors other than the juniper. The juniper is still there, but the other flavors are the star. Notes of cucumber and rose come through at the front. Following that you get notes of coriander and citrus. Throughout is a light touch of juniper to tie it all together. Check it out if you’re looking for a twist on usual gins. And, there is a big collection of cocktail recipes on their site, should you need additional inspiration. If you’re a foodie or just enjoy looking at gorgeous food pictures then you’ve likely stumbled across Gojee.com at some point in your internet adventures. If you haven’t, go there now, sign up and browse until you can’t go any further without devouring your laptop. But, this isn’t a food website, so why am I mentioning it? Simple. Gojee just expanded their offering to include drinks and yours truly is a contributor. They’ve also included a feature that I love. 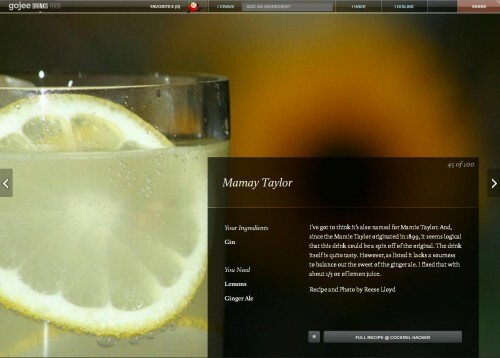 You can tell the site what ingredients you have on hand or are simply craving and it will track down the drinks that fit the bill. Scroll through the results until you find something tasty and great looking and enjoy! I love it when the little guy survives against the odds and ends up thriving. It’s the classic story of the underdog and I can’t help but think that applies to the story of Roundhouse Spirits. Started in 2008 in a small garage in Longmont, Colorado, Roundhouse first produced only gin, one micro batch at a time. 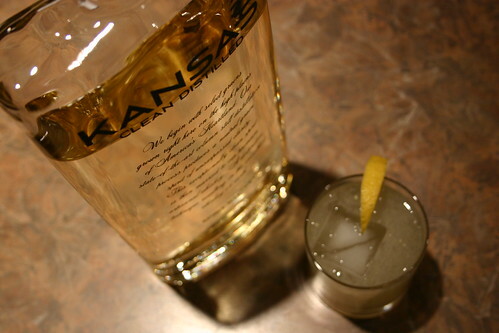 They distilled each batch from grain neutral spirits and hand selected botanticals in a 3 gallon still. The batches were so small that some of the bontanicals measured only one increment on their scale. That meant they could easily add anywhere from half to double the amount they were wanting for each ingredient. This resulted in vast swings in the flavor profile for each batch (a single 6 bottle case). While some people loved this variation and micro batching, the distiller, Ted Palmer, definitely did not. You see, he hand bottled every batch. From filling to corking to labeling and sealing, it was all done with his two hands and bent back. But, don’t feel too bad for them yet. This is where the story gets really good. Roundhouse was met with glowing reviews and became popular. This has allowed the distillery to expand. Moving to new digs in Boulder, complete with two stills, a brass and steel mash tun, storage room and, to Ted’s great appreciation, a small bottling line and labeler. This move has done a few things for Roundhouse. First, it’s allowed them to smooth out the wild variations in their product. Sure, you’ll still get variation since they’re producing small batches, but it won’t be nearly as wide as it was originally. Second, it’s allowed them to increase production. This is just plain good all around. Third, it’s allowed them to start experimenting and creating new products. Roundhouse still produces their two core products. Roundhouse gin, their first and still flagship spirit, now has some credentials behind it. Since they started production, Roundhouse gin has won a gold medal from the International Review of Spirits and a bronze medal from the 2010 San Francisco World Spirits Competition. Very nicely done! Corretto, their coffee liqueur, remains the best coffee liqueur I’ve ever sampled. It’s crisp and clean. They keep it lightly sweet by using really great coffee locally roasted at the Unseen Bean. This really good coffee keeps the bitterness down. Thus, less sugar is needed to tame it all. In addition to these core spirits, Roundhouse is now producing two other offerings. Starting in March of 2011, in very small quantities, in Colorado only, you could get your hands on their Imperial Barrel Aged Gin. Ted summed this up really nicely when he said that a lot of the local bartenders call this ginskey. It combines the flavors of gin with the barrel aged flavors of a whiskey. As such, it plays really well, and extremely interestingly, in both gin and whiskey cocktails. Starting more or less right now (Nov 2011) Roundhouse will start offering an agave spirit. Can’t really call it tequila, so they’ve decided to call it Tatonka. Based on pure blue agave nectar this spirit is tremendously smooth while maintaining the agave flavors. Since Ted leaves out the heads, which some tequila producers leave in for added flavor, Tatonka has none of the drawbacks of traditional tequila and all the benefits. There’s not a ton more for me to add to this success story beyond, well done, gents. Keep up the awesome work and keep the spirits flowing. If you’re interested you can tour the distillery Thursday – Saturday from 3:00pm – 7:00pm with no appointment needed. While you’re there sample some of the custom crafted cocktails. You can’t go wrong. As for getting your hands on a bottle, Roundhouse is now available in CO, TX, WY and MO. If you’re not in one of the distribution areas, though, fear not. They’re also available online.